Location: Ndumo Game Reserve lies in the north of South Africa's KwaZulu-Natal province, bordering Mozambique. The reserve, approximately 9 000 hectares in size, is well known for its exceptional bird life, boasting the highest bird count in South Africa with about 430 species. 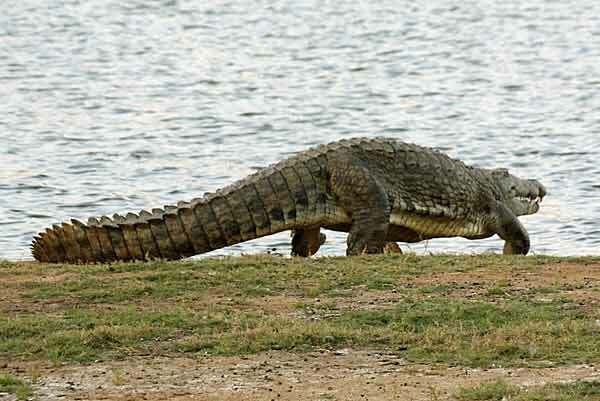 Visitors to Ndumo have the opportunity of taking a guided game drive around Nyamithi Pan, an attractive lake fringed with pale fever trees and reedbeds where they will be rewarded with sightings of numerous water birds and the many crocodiles lying on the banks. The reserve has a mix of vegetation, including acacia savannah, riverine bush, and sand forests, offering additional opportunities to view and enjoy the resident wildlife.